Born in the hot and humid city of Guangzhou, China in 1952, Chen first discovered his love of art while developing a series of drawings at the age of 4. He continuously nurtured his talent and vision as his life went through tumultuous change. When he was 16, Chen read “Around the World in 80 Days” and was struck with the urge to travel. Walking and biking, Chen journeyed as far as he was able to document his surroundings. At 16 he moved to the countryside where, as a farmer, Chen learned to love the land and became in awe of its splendor. It wasn’t until the late 1980s that Alexander moved his family to San Francisco. Since then, he has created a series titled “Alexander’s World,” based on modern life in his beloved adopted country, the United States. Chen wants his paintings to document the world we live in today, attempting to show a hand-made rendition of our lives for the future. When Chen paints, he uses a “hyperrealist” style, documenting every person, window, stoplight, and advertisement he sees in front of him. As preparation for his work, Chen will take hundreds of photos. He recalls that, in his studio, he has more than 10 hard drives to back up his photography. Inspired by the artists of the Song Dynasty and the way they could capture 1,000 people in each painting, Chen can take up to three months to unearth so much detail in each of his works. Alexander studied at various art schools and colleges in China, including the Arts and Crafts School at Guang Dong and the Guangzhou Academy of Fine Arts. In the 1980s, Chen developed a reputation as an upcoming young artist — his paintings were collected by provincial and national art museums and were selected for display by the National Art Exhibitions of China. 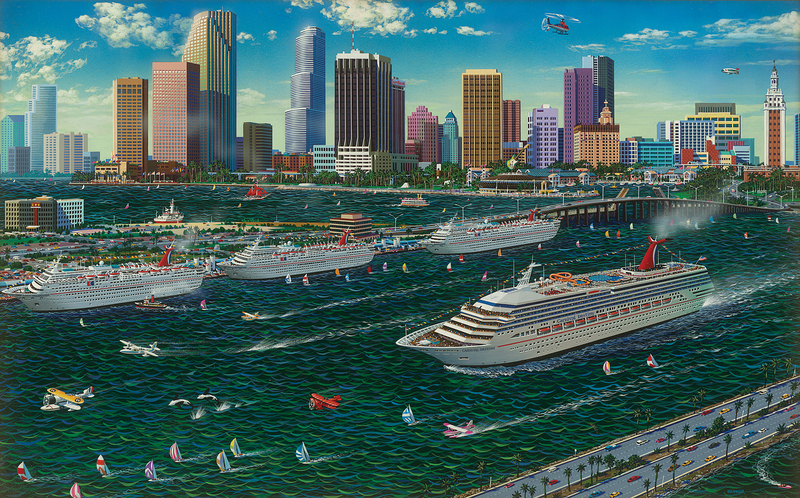 In his series “Alexander’s World,” Chen created rending tributes to American landscapes and icons such as the Grand Canyon, Yosemite Park, The Statue of Liberty and Times Square. Chen is an official artist for the U.S. Olympic Team. He created originals for both the Beijing 2008 Summer Olympics and the Vancouver 2010 Winter Olympics. He has the distinguished honor of being the only Olympic Artist sanctioned by both the U.S. Olympic Committee and the Beijing Olympic Committee. Chen’s works of art have been collected or licensed by companies including Toshiba Electric, Northwest Airlines, UNICEF and various art trade magazines. 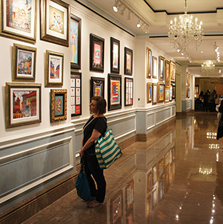 Chen has received worldwide recognition for his colorful and exciting works of art as his popularity in the United States, Asia, and Europe continues to grow.